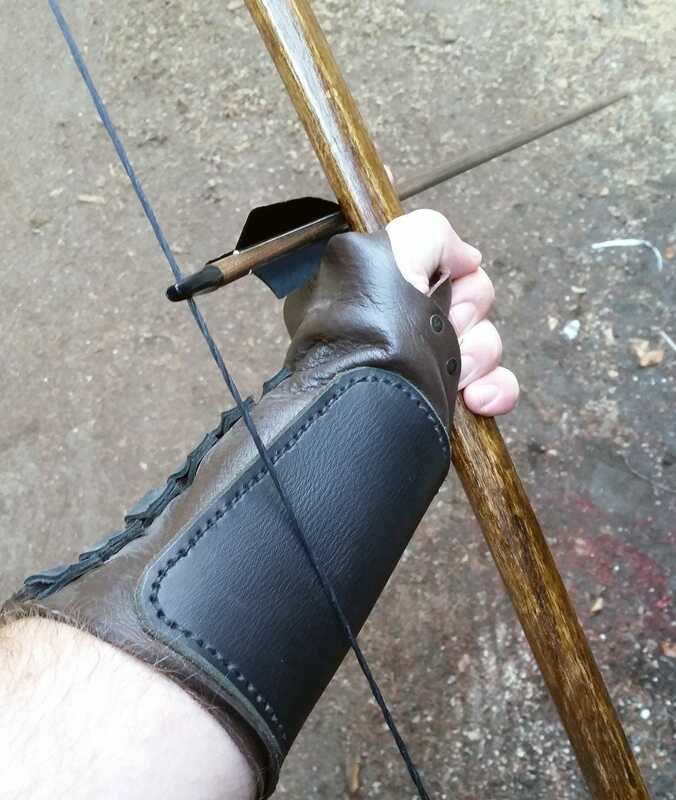 This listing is for a handmade leather combination hand-arm guard for archery. 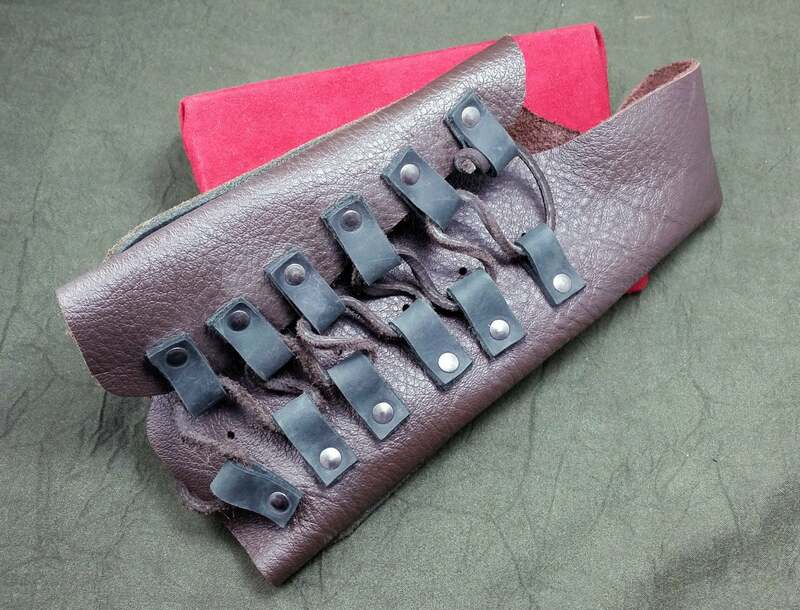 The bottom layer of the bracer is made of relatively soft chap leather and covers the forearm, extending around the thumb and connecting to the other side creating a protective platform for your arrow to sit on when firing off the hand. 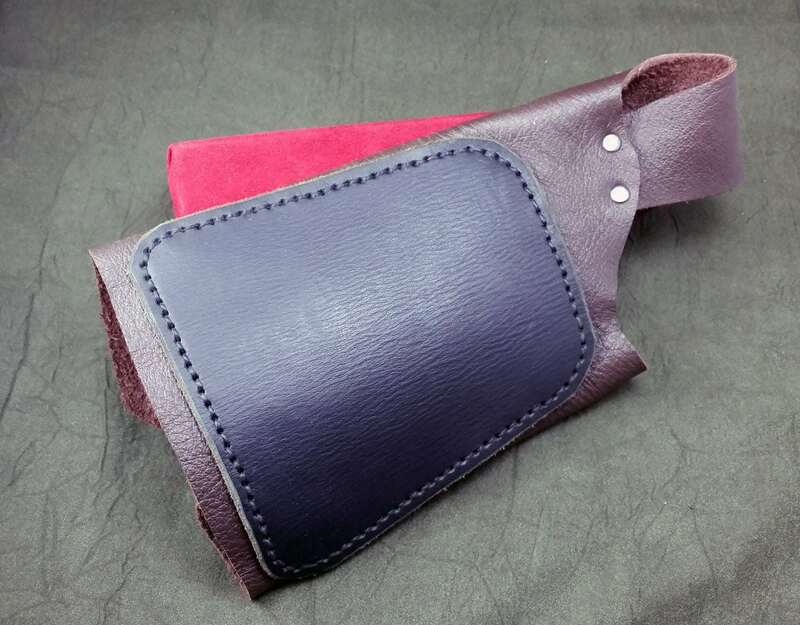 The top layer of the bracer is made of either 8-10 ounce latigo or vegetable tanned leather depending on the color you choose, and is hand stitched to the inner arm section of the bracer to protect against the bow string. 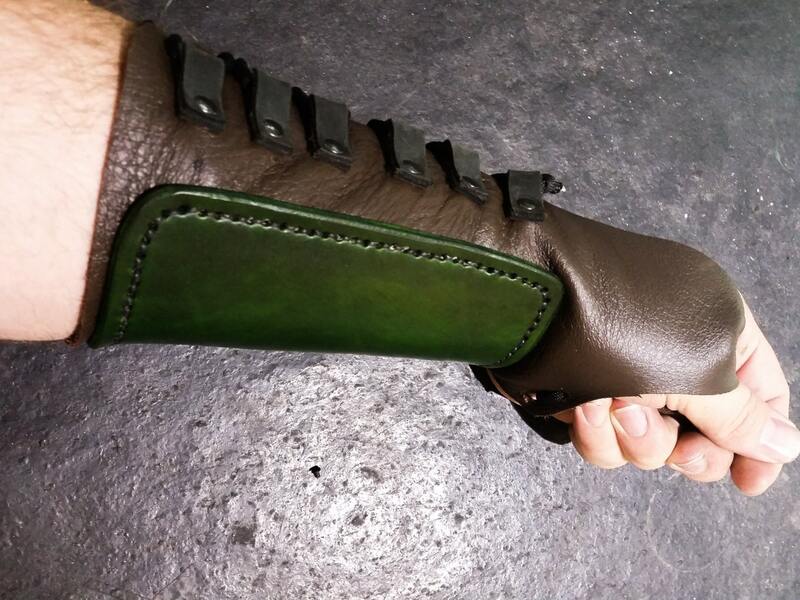 The bracer is laced shut on the outer side, and can be easily tightened or removed with one hand. Excellent item! Great leatherwork! Fits perfectly! Exactly what I was looking for! Allen was quick to respond to my questions before I ordered, he was incredibly helpful and provided a product that was just what I wanted. My vambrace shipped super fast and is excellent quality!